For consumers, Yelp has long been a source of serious user reviews for many different kinds of services by city. For marketers, Yelp offers small and local businesses a way to accumulate reviews for their listing and advertise to prospects in the area. Restaurants figure the most on Yelp, but there is a significant presence of other businesses too. Besides eateries, Yelp lists reviews of mechanics, hair stylists, dentists, doctors and every kind of small/local business. Listing is free though there are sponsored ones too; these are written on a backdrop of yellow color. As Yelp has 100 million plus visitors a month – on both mobile and desktop – you can get great visibility for your business here, besides a place for ratings and reviews and a bit of social engagement. Besides regular websites, you can obtain Yelp as an app on BlackBerry, iPhone, Palm Pre and Android. What’s so great about a local business directory? A listing on Yelp can help your business a great deal. Potential customers have to just press a few buttons to know the quality of your service/products, the description of your business, your hours of work and the photographs which will bring your business alive to them. Let’s have a look at these four factors. Business Description: The space you get on Yelp can be utilized to showcase your business story. Tell them something they won’t find anywhere else. Your description must have the human touch and a personality. Keep on updating this space. Deals: These will help you build a good rapport with your customers. Once you establish a great relationship, your deals will make more sense and be more effective. Though they are a marketing technique, Yelp deals need have cash value only; you must be creative and make offerings that are different and unique. Photographs: Tell the story of your business in photographs and remember the adage: “A picture tells a thousand words”. If you are running a restaurant, a photo of a family eating dinner and, preferably, smiling and showing that they are enjoying their meal, will go a long way in explaining your business. Working Hours: This is an important aspect of your business, especially for mobile users. Telling customers your visiting hours will help them to plan their day/outing better. Also, this link to your site will provide you SEO value in the form of a back link. Good reviews are great for business and a business with greater number of stars will be the one that’s highly favored by customers besides being a more established one. No reviews could mean it’s a new business and doesn’t have a website presence. Anyway, businesses that have great Yelp reviews/stars have a better chance of being searched in the non-brand category, like ‘Restaurants in Chicago,’ for example. You must strive to avoid negative reviews. Your team must ensure that no one exits your establishment in an angry frame of mind. You can achieve this by giving away something free or having the management placate the irritated customer in the best way possible. A negative review may get posted but Yelp gives you the chance to explain the situation to the complainant. In this way you can explain to the aggrieved customer why that episode occurred and if one of your staff was at fault, you can apologize. But don’t get too uptight about a couple of negative reviews. 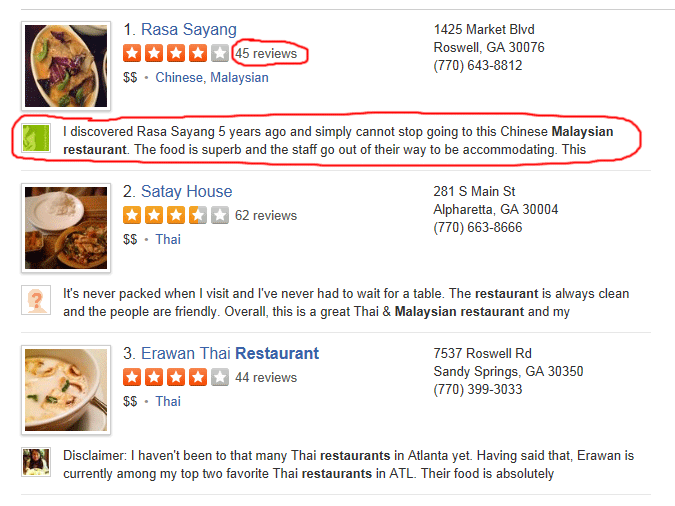 Indeed, businesses with 5-star ratings may even seem suspicious to the normal Yelper. Remember to track your Yelp Business Center account regularly to see your users’ likes and dislikes. So how do start optimizing your business listings on Yelp? A properly optimized page will get clicks and reviews without the need for too much management. Let’s see how to do it. Business not listed: You can type your business name even if you don’t hold a Yelp account. You can click ‘Add your business to Yelp’ on the page’s base. Previously unlocked: After you type in, if your company gets displayed, it means somebody else has laid claims to your business. Open: Open your Yelp page by clicking on ‘unlock’. You can open the page by providing your full name, your email address, and by agreeing to yelp’s service terms, besides making a password. After this, to put your company on Yelp, you’ll get to see a screen on which you have to fill up all your info. You have completed this procedure if your company does not display on the same screen in the second step. Yelp will seek the kind of business you want to add – like professional services, education, active life, restaurants and so on – besides email and business address, hours of business and address of your web. You have to then click on ‘add’ and you will receive a confirming email. After the confirmation, Yelp will examine what you have submitted and return to you prior to your (before you can) starting the optimization process and make changes in your account. Now you have to optimize your listing by providing all possible information, making use of social benefits, uploading pictures and making use of the available analytics. All these things can work together to give the perfect narrative of what your business has to offer and why visitors should take note. Here’s what you need to create a killer Yelp listing. “Complete” is the operative word here. Filling in all your company information is the primary and most important thing a business has to do to optimize its Yelp listing. There is a facility to edit the information about your business. For this you have to click ‘Edit Business Info’ connection on the left side corner at the bottom. The interesting aspect about this procedure is that anybody can click on this connection and make an attempt to modify your listing’s info. But since everything goes through the hands of Yelp moderators, you will get a notification if something is amiss. Customers love photographs! Whatever the business or platform, the better the quality the photographs, the more attractive the page. Your goods, specialties and recommended items, along with descriptions and prices. Your flyers, deals and special promotions. Events you have played host to in your store/business place. Reviews are why Yelp exists, so ensure to keep to responding to reviews. You need not reply to all reviews, but most importantly reply to a disapproving consumer. A negative unanswered review that hangs out there can be a real brand killer. Optimization for Yelp listing is that same as optimizing for search engines like Google. Your aim is to make use of your business keywords list and attempt to receive backlinks in whatever place you can through either press releases, guest posting or in a natural way. Present and potential customers searching for neighborhood businesses by using Google and Yelp and will normally inspect a map in their search procedures. Being the owner of a business you have to be seen clearly on that map. So make sure that your map’s location is accurate. This terrific tip is meant for owners who have lengthy or tough-to-recall business names, and for those are yet to customize their Yelp page URLs. A short custom link that leads to your Yelp listing will make it easier for customers to find you out, think of you and give you a review. Custom URLs will also enable you also to make a study of link statistics like social media recommendations, number of clicks and geographical information. 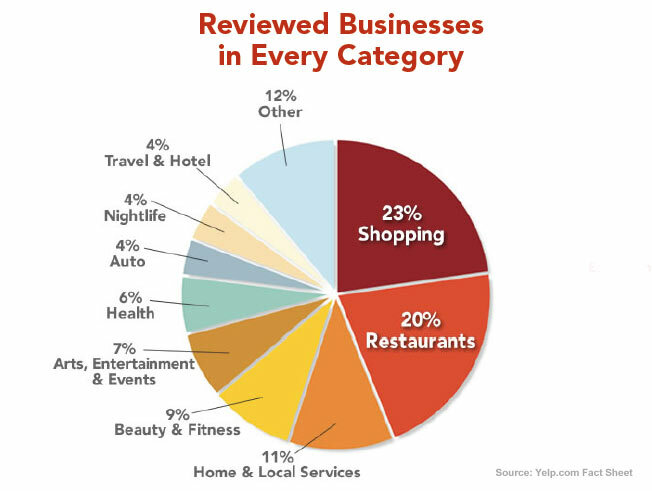 Go to the Yelp for Business Owners center and analyze the data being traced by the review site. Statistics and charts provide several types of info related to your business page, like mobile check-ins, traffic, number of calls and bookmarks created, deals sold and other metrics. These will give you insights on how you can make your local search performance better. It can’t be emphasized enough that reviews are at the core of why users love Yelp. One study showed that a mere additional half star on a restaurant’s overall 5-star rating (an average from individual ratings) can make it 30 to 49% more likely to book all tables for the evening. Use these tactics to increase the number of your reviews. Have Yelp link on your Website: On your website, provide a connection to your Yelp page. Ensure that the button is prominently placed so no will miss the chance to click. Include a Yelp link in Signature: When you dispatch an email, put your Yelp connection in the signature of your email. This is simply one more method by which you can make it comfortable for clients/ customers to search you and send reviews. Create Flyers: Suppose you are happy with your usual customers, you should think of making flyers for the staff in your business to distribute that explain how customers can leave a Yelp review behind and why it is necessary. But don’t offer free incentives for this. It will make Yelp unhappy. Support Check-Ins: Yelp Check-ins take place via the mobile app much the same way they do with Foursquare. Customers can check-in at a particular location and then dispatch the check-in to all his/her friends. Businesses can create deals, offers and gift certificates that users see at check-in time. Do Promos on Yelp: Special deals can be done for your business on Yelp. This should persuade users to turn up on your Yelp page. And when they are there, they can pen down a review. SEO and Yelp: You’ll aim for your Yelp page to get good rankings in Google and Bing in the same way you’ll want your site itself to rank. You can attain this with keywords that show up on your Yelp listing and also by trying to receive back links. We’ve just scratched the surface here, but it should be obvious that Yelp is an invaluable tool for small businesses interested in local markets. The service offers many of the advantages that the gigantic search engine Google does. While it’s great for food establishments, it’s also very useful for other small enterprises. In this post I have outlined why you need Yelp, how to go about it and explained its benefits and how you can optimize your business by using it. If you have any suggestions/comments, please feel free to note them below! Great tips! An important point for many businesses to realize is that they’re typically listed on Yelp whether they know it or not. Ignoring it, especially for the industries that you mentioned, simply isn’t a good option. As per my personal experience it is one of the best places for listing where you can get good leads, so all online businesses should try for this. Great article! Having moved to a new area about a year ago, I find myself consulting Yelp on a frequent basis to decide which restaurants to try, which hair salon is recommended, even which dry cleaner is on the map! It’s a powerful tool to retrieve consumer / peer opinions. Agree. You can find all local businesses here like you find in Google local listing. I know Yelp is important, but where is the best place to ask your customers to leave reviews? Yelp, Google? I will go for both because both give leads and business. i find yelp to be such a massive help and really enjoyed your post. i’m curious though as to whether there are some industries that you don’t think benefit from Yelp. I’m a Health Coach so get a lot of review simply by word of mouth. I wonder if I am doing a disservice to myself by not being on Yelp. Something to think about. Thanks everyone for your thoughts! And thanks to Alan especially. I definitely learned some things I didn’t know about Yelp. @Carel You could start with Google and go until you feel like you have enough to have an effect (I don’t think you need a huge number of them). Then you might move to Yelp and the other more popular ones and do the same thing – rotate through them, if you will for diversification. One of the good things about Yelp is you are allowed to upload multiple pictures. Protip: if you name your imaged properly it can help your listing rank for what your line of work. great article and thank you for the specific tips. We have several small business clients and this really illustrates how to navigate the waters for them.